The Alaskan Stock Kits are available in both the 1/4 oz and 1 ounce sizes. 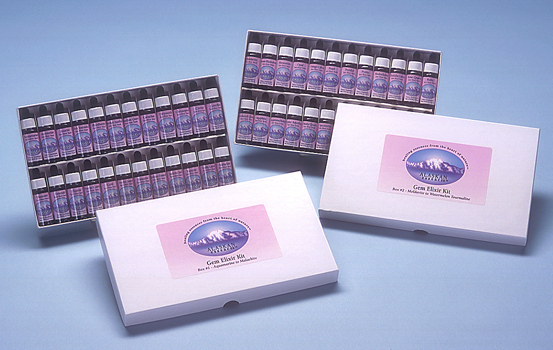 All kits are packaged in sturdy and attractive boxes that are designed to last for many years. 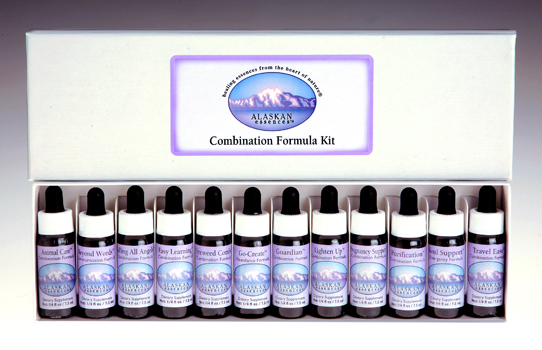 The Alaskan Combination Formulas are unique blends of Flower, Gem, and Environmental Essences that possess a special co-creative synergy that is only possible when healing energies from the flower, mineral, and elemental kingdoms are combined through focused intent. These formulas were born out of many years of research, observation, and feedback from clients and therapists from around the world. 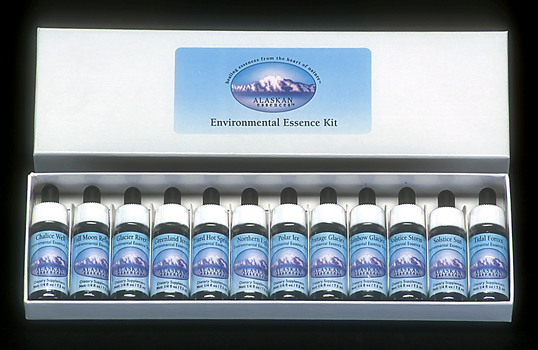 The Alaskan Environmental Essences help you create a clear and balanced inner environment for positive change and growth. They also support your work with Flower Essences, lending clarity and vitality to the healing processes catalyzed by the flowers. Environmental Essences are also very effective tools for Space Clearing. The 12 stock bottles in this kit are contained in 1 box. 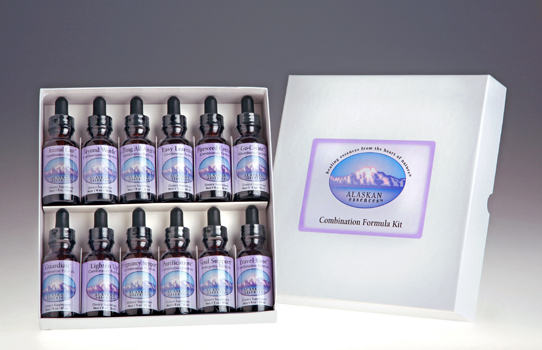 The Flower Essence Practitioner Kit contains 72 of the best known and most widely used Alaskan Flower Essences. The development of this kit spanned eight years of field work and required thousands of miles of travel throughout the Alaskan wilderness. The stock bottles in the 1 oz kit are arranged alphabetically in 6 sturdy boxes. 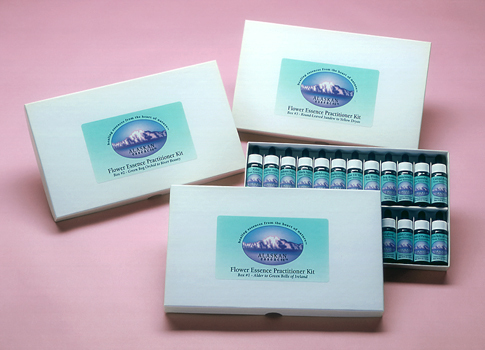 The Flower Essence Practitioner Kit contains 72 of the best known and most widely used Alaskan Flower Essences. The development of this kit spanned eight years of field work and required thousands of miles of travel throughout the Alaskan wilderness. 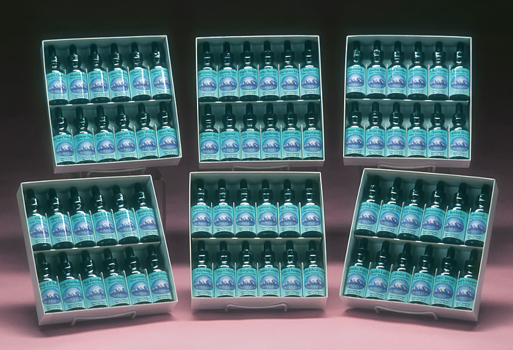 The stock bottles in the 1/4 oz kit are arranged alphabetically in 3 sturdy boxes. 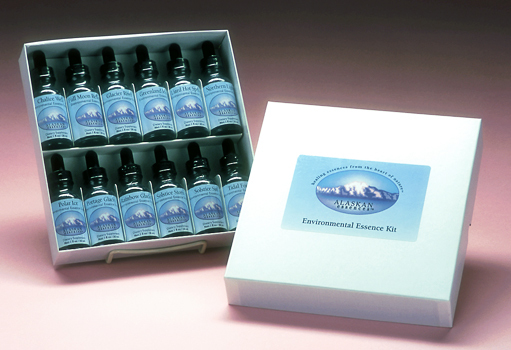 The Gem Elixir Kit contains the 48 original Alaskan Gem Elixirs. These elixirs blend the grounding and stabilizing qualities of the mineral kingdom with the strength and purity of the Alaskan environment. The 48 stock bottles in this kit are arranged alphabetically in 4 boxes. 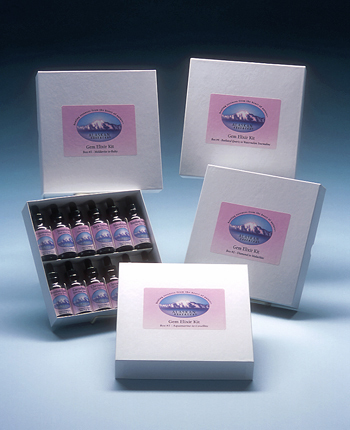 The Gem Elixir Kit contains the 48 original Alaskan Gem Elixirs. These elixirs blend the grounding and stabilizing qualities of the mineral kingdom with the strength and purity of the Alaskan environment. The 48 stock bottles in this kit are arranged alphabetically in 2 boxes.